Seasons Greetings! I hope you had a joyous and peaceful Holiday with those that you love. Ours was just the right mix of family chaos and quiet at home time! As we move beyond the busy Christmas week, I have been able to cross off an important gardening chore from my list - taking care of my tools. My tools are constant companions during the growing season and are crucial to the success of my garden so they deserve a little love and attention as they go into storage for the winter. My latest URI Master Gardener article for the Providence Journal is out today in the Decor section of the paper. The story is about the North American Poinsettia Trials which are conducted by Master Gardeners at the URI test site. Poinsettia breeders send new varieties to locations across the country for trial. It's a very cool project! Here is a link to the online version of the story. Last January, I wrote on this blog that one of my goals for 2014 was to extend the growing season into the winter. I had plans for a hoop house. As the summer progressed and I was working flat out maintaining my gardens and preserving the fruits of my labors, I came to a realization - I was tired and I was going to become even more tired before the autumn months were over. The thought of growing food for all four seasons and digging my way through the snow to tend crops in February was not making me excited. I am not a winter person. I hate the cold. I hate ice. I know Eliot Coleman loves his winter hoop house but I need a break. 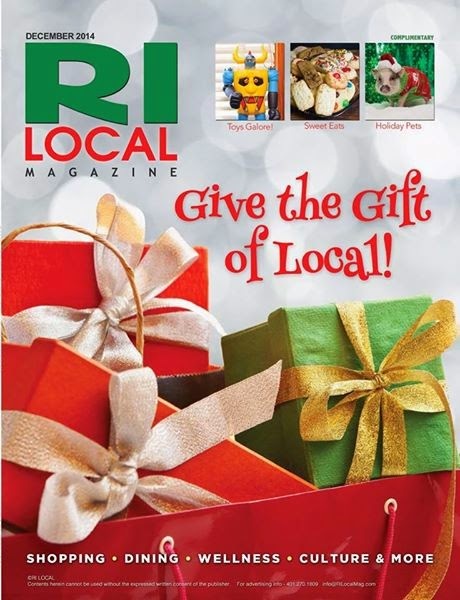 Just popping in to let my fellow Rhode Islanders know that the December issue of RI Local Magazine is out today! My URI Master Gardener column this month is about caring for poinsettias. Pick one up if you see it!